Ajoblanco, A simple and very refreshing cream for the summer. 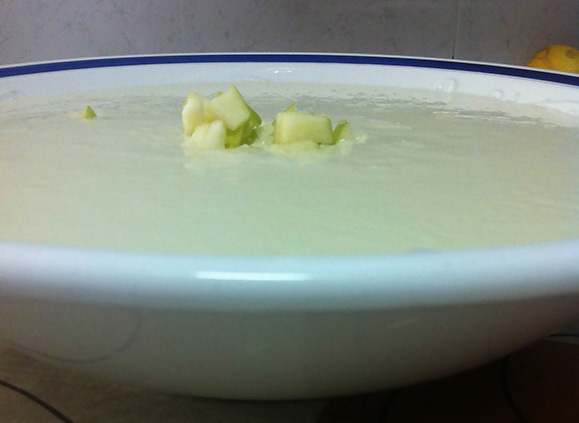 Ajoblanco or ajo blanco is a popular Spanish cold soup typical from Granada and Málaga. 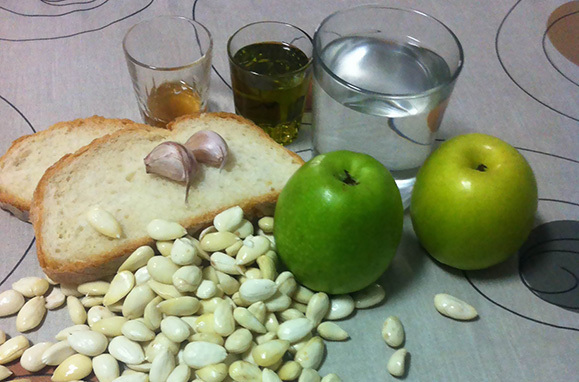 This dish is made of bread, almonds, garlic, water, olive oil, salt and vinegar. In that version I add some sour apple to add an extra fresh touch. Blanch the almonds in boiling water and peel them. Put the bread in water to soften it. Slowly pour in the olive oil until a smooth paste is formed. In a dish, add water and vinegar and process until the mixture is thin and smooth. Season with salt to taste. 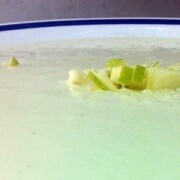 Add the apple cut in “brunoise”. A simple and very refreshing summer dish perfect as a starter. 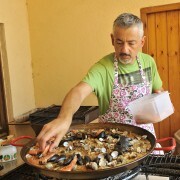 http://www.ramonmasip.com/wp-content/uploads/2014/08/ajoblanco-detail.jpg 300 300 admin http://www.ramonmasip.com/wp-content/uploads/2016/04/logo-web-1.png admin2014-08-24 19:49:182014-08-24 19:49:18Ajoblanco with sour apple "Granny Smith"